Whether you were impaired or sober, being pulled over and arrested on suspicion of drunk driving can have an unfavorable impact on all aspects of your life. When you are dealing with a DUI charge in Florida, it is essential to have an experienced DUI attorney on your side who understands what you are going through and can fight for your freedom. For over 20 years, we’ve helped Central Florida residents fight charges of DUI and drunk driving. 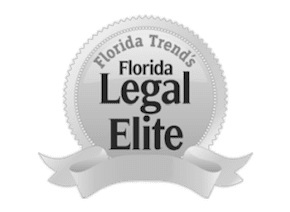 As former prosecutors and public defenders on the state and local level, our Orlando defense attorneys have a unique insight into the type of strategy that will be used against you. This knowledge, combined with our aggressive representation and caring attitude, is a winning formula for positive results as shown by our ratings and reviews. Each type of DUI has a seperate set of penalties and qualifying factors. However, they all deal with an individual operating a vehicle (motor or nonmotor) under the influence of drug or alcohol. There are even instances when you can be charged with driving under the influence when you’re not driving at all. For example, you’re driving home from the bar after having a few drinks, and you find yourself starting to doze off. Instead of risking getting pulled over or getting involved in a damaging accident, you decide to pull to the side of the road and sleep it off. You wake up to an officer tapping on your window and the next thing you know you’re being handcuffed and thrown into the back of a squad car. The officer explains that even though you weren’t driving the vehicle at the time, the keys were still left in the ignition. Situations like these occur often and result in people who tried to do the right thing getting charged with a DUI. What Happens After You’ve Been Charged With a DUI in Florida? Whether it’s school, work or basic errands, we need to drive to maintain our livelihood. Needless to say, the first step we take is getting your license back. In Florida, if you have never lost your license for a DUI, you may be eligible to obtain an immediate hardship license at the Department of Motor Vehicles (DMV), but you only have 10 days to apply from the date of your arrest. The process to do this is called a waiver hearing as you are simply waiving your right to challenge your suspension and in return, you receive a hardship license. The hardship license allows you to get to school or work and run errands that are necessary for your daily life. What Happens if I Recieve Multiple DUIs? Our team of Orlando DUI defense lawyers at The Umansky Law Firm can help protect your freedom. We can evaluate your case, make you aware of potential penalties, and serve as your legal representation throughout the legal process. The consequences of a DUI can range from monetary fines and jail time to years of driver’s license suspension and the inability to obtain auto insurance. The severity of the consequences will depend on your situation. The Orlando DUI defense attorneys at The Umansky Law Firm can provide a free case assessment to help you understand the penalties you may be facing. Our DUI attorneys take the time to break down the information and educate you to ensure you fully understand your current situation and the road ahead. Plea Agreements: Once you plead no contest to Driving Under the Influence, it stays on your criminal record. You may appeal the sentence within 30 days of the plea agreement being accepted, but the no contest plea is the same as being found guilty, so your record is affected. Pretrial Diversion: Pretrial diversion is a great option because completion of the program guarantees your charges will be dropped. To be eligible for pre-trial diversion, this must be your first DUI arrest, you cannot have any prior convictions for a similar crime, and you must be a legal Florida resident. Can You Help Me Get a Hardship License? If this is the first time you’ve lost your license for an alcohol-related offense, you will need to enroll in the DUI level one school sponsored by the Florida Safety Council. We will show you how to enroll and take your enrollment paperwork to the DMV and ask them to waive your hardship hearing. Have you lost your license for an alcohol-related in the past? Learn more about handling a DUI as a repeat offender. We pride ourselves on staying on the cutting edge of technology. We understand the latest developments in field sobriety testing, breathalyzers, ignition interlock devices, and other new technologies and techniques that can affect your case. Learn more about our DUI Defense Strategies. We do more than offer a free consultation. We can review your facts, determine a strategy of defense and go over your alternatives instead of just walking in and pleading guilty to a DUI. If you have never been charged or arrested for DUI before, you may be eligible to get your charge dropped in a DUI diversion program. In many cases, we may be able to reduce your charge to Reckless Driving and in some cases even Careless Driving, a civil citation. You will also receive a free guide to dealing with your arrest which provides helpful tips and information about the process. Whether you are a Florida resident, tourist, or truck driver, we can help you fight for justice. At The Umansky Law Firm, we have over 100 years of combined experience and will do everything needed to vigorously defend your case. Contact us today at 407-228-3838 to schedule your free case evaluation.